North America’s largest & most versatile manufacturer of expanded and perforated metal for air and fluid filtration. Metalex offers one-stop shopping for a broad range of products including: expanded and perforated metal, perforated and louvered spiral tubes, perforated welded tubes & stamping products. 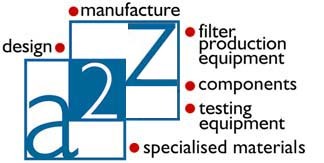 Contact us for your filtration requirements. Expanded Metals & Polymers for Membrane Support & Backing. Assures media integrity & pleat spacing even under dynamic flow. Materials laminate for co-expansion/contraction/flex. Openings down to 25 micron. Thickness: 0.001″ to 0.2″.